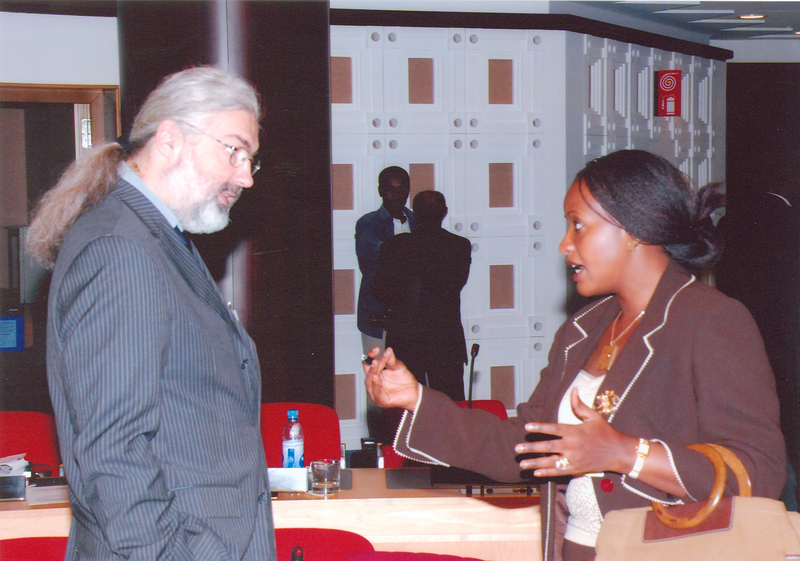 At Novatech ICT Africa in Addis Abeba I have the pleasure to discuss with Hon. Nabilah Sempala Naggayi, Woman Member of Parliament for Kampala District in the Parliament of Uganda, the role of IT development in Eastern Africa, the situation of the educational sector – and the lack of marketing, German companies do (or better: didn’t do) on African markets. Additional, Hon. Nabilah Sempala, who speaks fluently German, pointed out, how high the benefits are, Ugandas IT industry can receive out of the Open Source Africa project. Something – of course – I was very happy to hear.